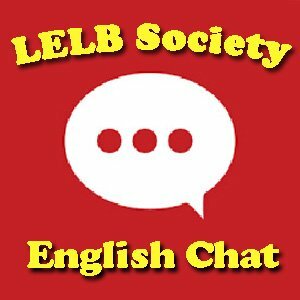 This group and private chat in English is open and active for the dear members of LELB Society. You need to create a free account on LELB Society and login to your account to access our embedded chat room at the bottom-right corner of your screen. You can also login with your Google account in a second. You can chat with the other members of LELB Society either publicly or privately. Every night, we choose an interesting topic to discuss. In this way, you can learn a lot of English vocabulary, grammar points, punctuation, etc. Furthermore, you can pose any English question you may have in the chat room. The maximum number of English chatters is “10”. As a result, only those who are early here will reap the benefits. In other words, “the early bird catches the worm”. As a proud LELB Society’s member, you have this privilege to join our IELTS Preparation Course that satisfies all of your academic needs to perform well on both IELTS and TOEFL. You can also join our English Questions forum to ask any English question you might have. We respond to your questions immediately.